Cherry wine according to your taste almost as good as the grape. Homemade wine made from cherries, is a perfect addition to the holiday table. It features fine bouquet and delicate taste with a little bitterness. 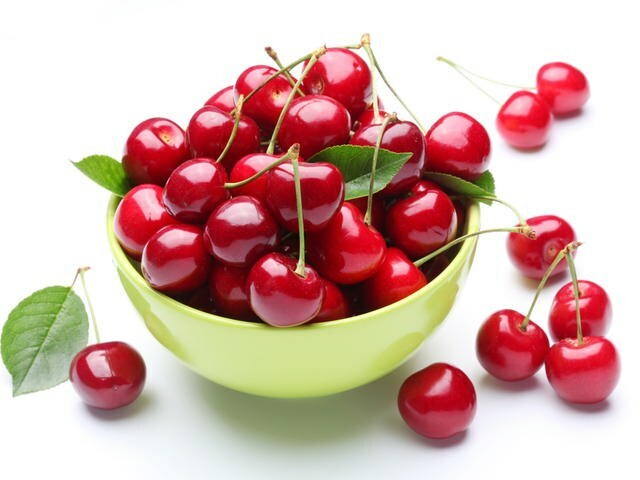 Any kind of cherries can be used in home winemaking. However, it is preferable to stop the emphasis on dark berries, with sweet and sour or sour taste. These include the following classes: "Shpanka", ". ", "Lot", "Vladimirskaya" and "Shubinskaya". Cherry wine, made from sweet varieties, has a pronounced flavor. To select for homemade wine should the whole ripe berries, without external damage and rot. On the surface of the cherries are natural wine yeast, which is almost completely washed with water. So many experienced winemakers don't put the cherry wash. In addition, depending on taste, the question: to remove or not? Thanks bones, wine made from cherries acquires a characteristic bitter taste similar to the taste of almonds. First of all, you need to prepare is a must. Unwashed cherries with pits you need to grind in a deep casserole. You can just wring their hands, squeezing out the juice. The resulting mass, which is a mixture of pulp, seeds and juice is called the pulp. It in equal proportions, diluted with water and added sugar. 1 kg of pulp should be about 700 grams of sugar. If cherry was subjected to washing, preferably added to the pulp teaspoon tablespoons of yeast to every 15 liters diluted with water pulp. Capacity should be tightly closed and put in a cool dark place. After 1-2 days, the wort will begin to ferment. Every 2-3 days, the wort should be mixed. This should be done quickly so that the mass is not saturated with oxygen. A week after the start of fermentation capacity is left alone for 5 days. During this time the pulp should rise to the surface and it will be easy to remove the sieve. The juice is left for secondary fermentation in a closed tank for another 5-8 days. The fermentation process can be considered complete, if the surface of the juice is not foam. With a hose, one end of which is lowered to the bottom of the tank, the fermented juice is poured into another container. It cherry wine and will Zobrazovat 10-15 days. Capacity it is desirable to place in a cool place. At the end of this period the wine from the cherries is poured into a glass container. The wine will be ready for use after 50-60 days from the date of preparation of the pulp. The wine became more pronounced taste and strength needed to endure it for another 4-5 months.